John Francis "Jon" Cassar (born April 27, 1958) is a Maltese-Canadian television director and producer, known for his work on the first seven seasons of 24. In 2006, he won the Primetime Emmy Award for Outstanding Directing for a Drama Series for his work on the episode "Day 5: 7:00 a.m. – 8:00 a.m.". In 2011, he produced and directed all episodes of the Canadian-American miniseries The Kennedys, for which he won the Directors Guild of America Award for Outstanding Directing – Television Film and was nominated for the Primetime Emmy Award for Outstanding Miniseries or Movie. Jon Francis Cassar was born in Malta on April 27, 1958, and immigrated to Canada in 1963 with his mother, Elda (née Segona), and father, Frank Cassar. He has two younger siblings, Bernard Cassar and Kristine Palsis. Cassar is a graduate of Algonquin College in Ottawa, Ontario. 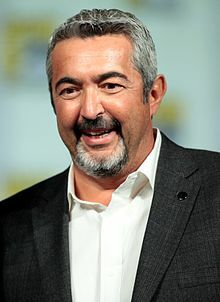 After La Femme Nikita ended, for which he directed 14 episodes, Cassar began working as director and executive producer on the FOX drama-thriller series 24. In 2006, he won the Primetime Emmy Award for Outstanding Directing for a Drama Series for the episode "Day 5: 7:00 a.m. – 8:00 a.m.". In addition, he was nominated for the Primetime Emmy Award for Outstanding Drama Series four years in a row (2003–06), winning one in 2006. He directed the spin-off feature film, 24: Redemption, in 2008. Following the completion of the seventh season of 24, Cassar left the series to focus on other projects. He joined the FOX science fiction series Terra Nova in 2010, as a producer and director. In 2012, Cassar won the Directors Guild of America Award for Outstanding Directing – Television Film and the Directors Guild of Canada Award for Outstanding Direction – Television Movie/Miniseries for his work on the 2011 miniseries The Kennedys. For producing the series, he was also nominated for the Primetime Emmy Award for Outstanding Miniseries or Movie. In 2014, it was announced that he would return for 24's follow-up event series, 24: Live Another Day, which debuted on May 5, 2014. In 2015, Cassar joined the ABC anthology series Wicked City as an executive producer and director. Cassar is married to Kristina Kinderman, with whom he has two children: photographer Zak Cassar and actor Alexis "Lex" Cassar. Zak is engaged to singer Betty Who and Lex is married to actress Sprague Grayden. He is the co-founder of the Motion Picture Industry Charitable Alliance, which hosts an annual charity auction, "Lights, Camera, Auction". ^ a b "Cassar, Jon 1958- (John Cassar)". Encyclopedia.com. ^ "Premier's Award presented to Algonquin College Alumnus, Jon Cassar, as part of Higher Education Summit". Algonquin College. November 29, 2011. ^ "Maltese-born director lands Emmy for 24". Times of Malta. August 29, 2006. ^ a b Nickols, Corey (January 6, 2015). "Me & My Emmy: Jon Cassar". Emmys.com. ^ Andreeva, Nellie (June 23, 2010). "'24' Alum Jon Cassar Joins 'Terra Nova'". Deadline Hollywood. ^ "Jon Cassar Wins DGA Award for The Kennedys". Reelz. January 28, 2012. Archived from the original on March 3, 2012. ^ "David Cronenberg's 'A Dangerous Method,' Jon Cassar's 'The Kennedys' Dominate Directors Guild of Canada Awards". The Hollywood Reporter. October 21, 2012. ^ Marechal, AJ (June 12, 2013). "Jon Cassar to Helm, Exec Produce Fox's '24: Live Another Day'". Variety. ^ Munn, Patrick (June 29, 2015). "Jon Cassar Boards ABC's 1980s LA Crime Drama 'Wicked City'". TV Wise. ^ "Motion Picture Industry Charitable Alliance". MPICA.org.